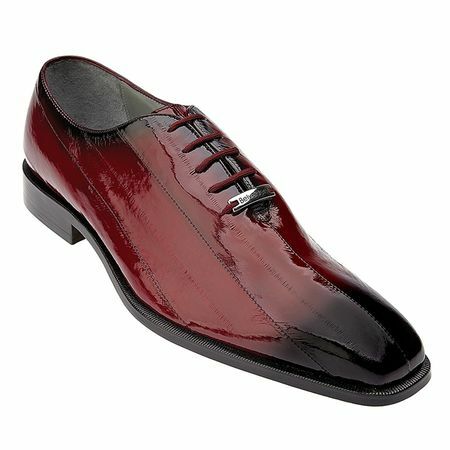 Are these Eel skin shoes red that fade to black or black that fade to red. You decide. The Stella by Belvedere shoes features a clean style lace up design that are hand made out of fine Eel skin and are fully leather lined for the comfort that you crave in Italian shoes. Do you have what it takes to wear Alligator Shoes. While you're shopping online for Belvedere, don't forget to see our collection of Mezlan Shoes.